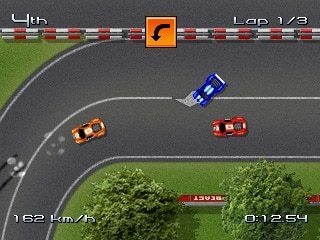 Rush Rush Rally Racing brings the fast paced 2D retro gameplay you’ve been waiting for. No sponsored cars, no realistic environments, just plain old top down 2D racing fun. Colors! 3D is simple to use but has some powerful painting tools. You can learn modern painting techniques or simply colour in existing images depending on your skill level. Colors! 3D is tailored for touch screen devices like the Nintendo 3DS and allows you to create and view your own 3D paintings for the very first time. The 3D Machine, the first paid for video download on Nintendo 3DS, is here this week! After an inventor makes a breakthrough, he leaves his incapable assistant alone with his new wonder invention, which leads to wealth, love…and catastrophe! After finding yourself mysteriously trapped inside a shop, you must find clues and solve puzzles to mastermind your way out and get to the bottom of what is going on. A very curious Farmer hears strange noises coming from a hay stack and goes to explore, but the Flock isn’t about to reveal its secret. The goddess Palutena attempts to deal with a great catastrophe in her Skyworld home.